Member of BNI Winners Chapter for past 3 years with business category as Branding & Advertising. 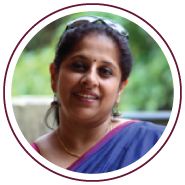 I'm Mary George, Director Consultant with BNI Cochin Region and the owner of an Advertising and Branding company, UPM Advertising. UPM Advertising is 8 years old and handles a clientele with a cumulative net worth of over 1500 Crores. 3 years and counting.... the greatest life changing experience that I've had since I became a mother....becoming a member of BNI Kochi region. With many 'firsts' to my credit....the first lady member of the region....the first lady President....the first Launch Ambassador in the region....BNI opened up a whole new world for me. Today, not only do I have a 58 member Sales team working for me, I also have a strongly bonded network of friends who will come to my aid any time I call. 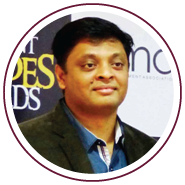 An Executive Director and personal mentor like Anilkumar is a once-in-a-lifetime gift that BNI has given me. And I look forward to my future years with BNI hoping to help and give back to BNI, at least in partial measure all that I have gained. Sometimes, words don't measure up to the emotions welling up inside.....this is one such moment. All I can say is....thank you, Anil for bringing BNI to Cochin. And thank you BNI, for opening up this world of Giving and Gaining to me. BNI Winners Chapter, Kochi, Member for 3 years, Category - Event Management and Consulting Services. My BNI experience has exceeded my expectations. The BNI system has completely changed the way I looked at my business. I'm into the business of event consulting and management. This system has contributed almost 4cr of business in the last three years to my company. BNI experience has provided me with an unexpected bonus - wonderful new friends who have become part of my personal and professional life. I now look at my business career as two eras, One before joining BNI and one after Joining BNI. The system has imparted a new culture and outlook to my business. This was the best business decision of my career. I also got opportunity mentor and guide Chapters in the region in the role of Support Director that I consider and value as another great learning opportunity in Business Leadership. I thank our Executive Director Mr.Anilkumar who brought BNI to our region. The region has benefitted with over 100 Cr of business in the last three years for its members. BNI is now a way of life for me.